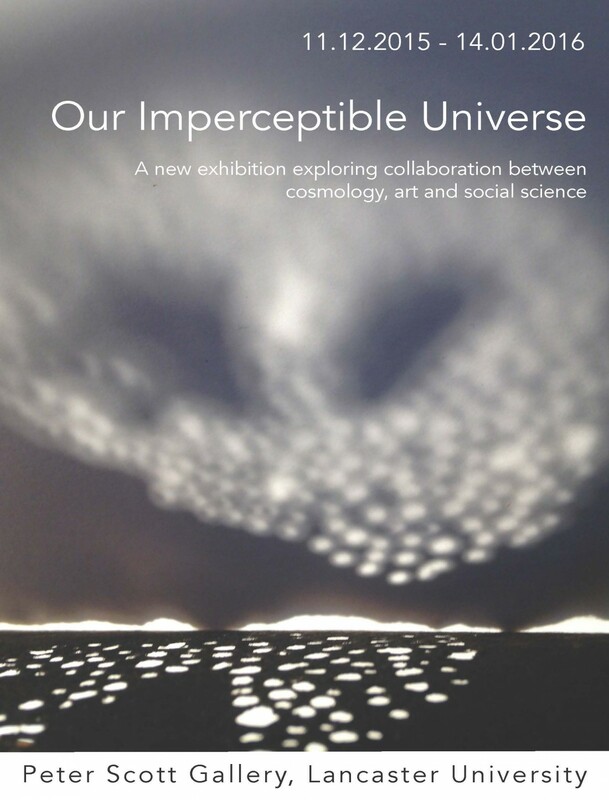 A new exhibition exploring collaboration between cosmology, art and social science. The mind-boggling proposition that 95% of our universe is invisible is the starting point for this exhibition developed by cosmologist Kostas Dimopoulos, artist Sarah Casey and anthropologist of science, Rebecca Ellis. The exhibition explores cosmological ‘imperceptibility’: the idea that our universe is entering an era of accelerated expansion, attributed to a mysterious ‘Dark Energy’ substance, whose nature and origin is unknown. In fact only 4% of our universe is visible. How does cosmology study these imperceptible forces in our universe? How are they revealed and what might this mean for our understanding the nature of our universe? The exhibition is part of ‘ Dark Matters’ an AHRC Science in Culture Innovation Award project and is supported by The Institute of Physics and Lancaster University.